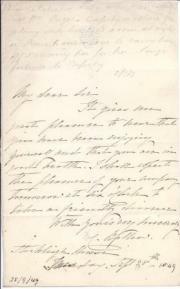 Autograph Letter Signed ('F. Douce') from the antiquary Francis Douce to 'S. 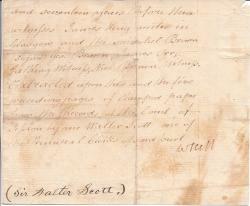 Turner Esq', regarding a matter of business, involving the sending of deeds 'to Walker'. 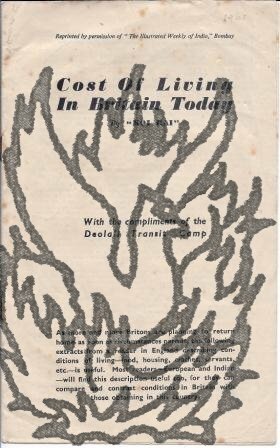 [Printed pamphlet by the Socialist Party of Canada.] The Socialist Manifesto. 42pp., 12mo. In yellow wraps printed in black and red, with 'Object' and 'Declaration of Principles' of the SPC inside the front cover, and advertisements for SPC publications on both sides of the back cover. Stapled. In fair condition, aged and worn, with pencil ownership inscriptions of 'Jean Thurlow'. The Preface begins: 'This pamphlet was first published in 1910 as the Manifesto of the Socialist Party of Canada. During the ten-year period ending in 1920, five editions, totalling more than 25,000 copies, were issued. On House of Commons letterhead; 5 February 1900. 2pp., 12mo. On paper with mourning border. Headed by Gladstone 'Private'. Good, on lightly-aged paper. 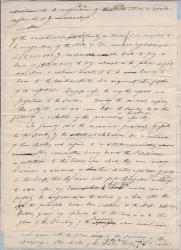 The letter concerns Lord FitzMaurice's motion of no confidence in the government, held in the House of Commons the following day. (The resolution, which had been introduced following British reversals in the Boer War, was defeated by 352 votes to 139.) Gladstone writes that he hopes that he was not 'too "stiff"' with Evans. 'The situation at the time was a bit acute, 70 men asking for that wh. I knew to be impossible. 'Registre' (account book), in French, of Remy de Montfort, Châtelain de la Motte, Bazoches-au-Houlme, Orne, and of his son Philogène de Montfort. 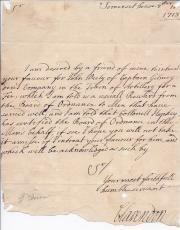 Containing information about crops, livestock, servants, rents and matters pertaining to his estate. Pub, Date: La Motte, Bazoches-au-Houlme, France. 1801 to 1835 (Remy de Montfort); and 1850 to (Philogène de Montfort). 186pp., 8vo. Paginated 1-186, with pp.44-45 and 113 blank, and three other three unpaginated pages: front pastedown and facing page, and rear pastedown. 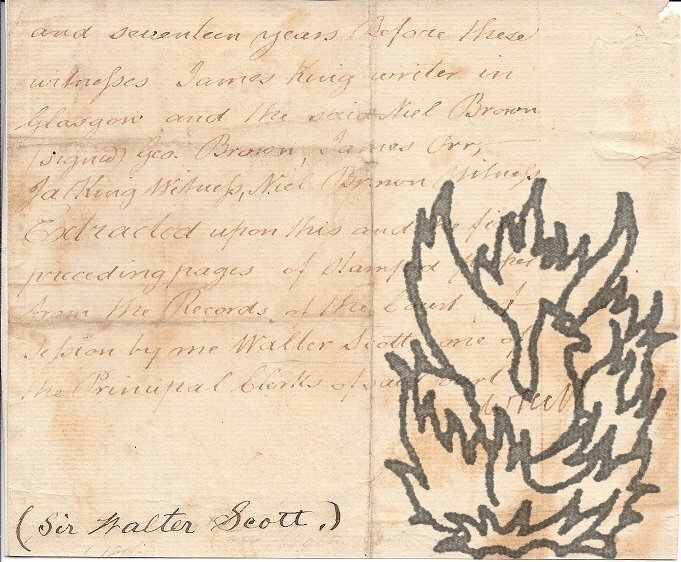 Five pieces of paper with manuscript are inserted, two loosely. Internally in very good condition, on lightly-aged paper, with occasional slight worming; in worn and damaged vellum binding with rope ties. 'Registre' in manuscript on front board. The volume is paginated by Remy de Montfort, and consists of a number of chronological sequences working inwards from both ends. One page, cr. 8vo, two small holes (loss of letter] spotted, tiny closed tears, fold marks, mainly good condition. Headed "Expériences avec la Nitroglycerine", the name of the invitee to be filled in "M...", giving directions for two days of experiments at Hal and Lessines, Programme of "Expériences théoriques / Explosions de différentes Minen". NOte: Alfred Novel and Co. was founded in June 1865. No record yet found of these experiments. Scan on my website. 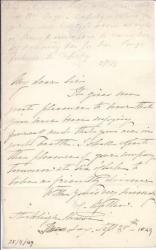 Autograph Note Signed "Clarendon" (sometime Governor of New York and New Jersey) to an unnamed correspondent. Somerset House, [London], 12[?] October 1713. 1. Ulster Facts and the Ulster Question (From the "Belfast Telegraph," July 9. 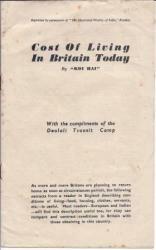 1924, printed by W. & G. Baird, Belfast), handbill, 4pp., 8vo, bifolium, very good condition. It includes "facts" about N. Ireland (agriculture, industry, etc) and reasons to reject the Boundary Commission.2. Ulster and Peace (Reprinted from "Belfast Telegraph," August 2, 1924, printed by W. & G. Baird, Belfast), handbill, 2pp. 8vo, bifolium, very good condition.3. The Attacks on Ulster (Reprinted from "Belfast Telegraph," August 4, [1924? ], printed by W. & G. Baird, Belfast4. The Case for Ulster. 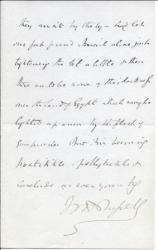 Autograph Letter Signed ('F Greville') from the diarist Charles Cavendish Fulke Greville to an unnamed male correspondent. 'Grosv[eno]r Place | Saturday [no date]'. 1 p, 12mo. Good, on lightly-aged paper, and still tipped-in onto leaf removed from album. Arranging a time at which to call on him. According to the Oxford DNB Greville moved from Grosvenor Place to Lord Granville's house in Bruton Street in 1849. 8vo, 14 pp (followed by blank leaf). Unbound and stitched. Text clear and complete. 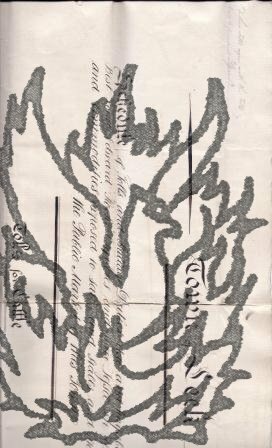 Fair, on aged paper. Drophead title. With 'PRIVATE' in print in the top left-hand corner of the first page, and '' in the bottom left-hand corner. Dated in type at end 'T. H. S. | October 1891.' 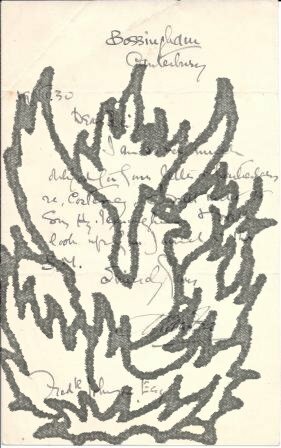 Sanderson's inscription, at the head of the first page, reads 'From the Author | [signed] S | Sept. 1918'. 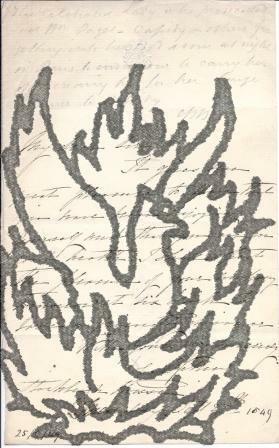 From the collection of Sir Victor Wellesley, and with two marginal notes by him. 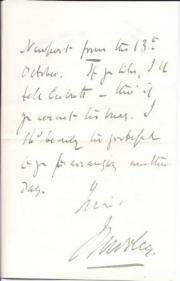 Autograph Letter Signed ('W H Russell') from the journalist W. H. Russell to 'dear Spencer', mainly concerning the Urabi Revolt against Ismail Pasha, Khedive of Egypt. 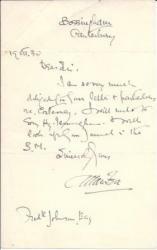 4 June 1882; on letterhead of the Empire Club, 4 Grafton Street, Piccadilly, London. 2 pp, 12mo. 18 lines. Text clear and complete. Good, on lightly-aged paper. Begins 'Its Alberta <(Songfeld)?> who is at 2 Lowndes Street not the undersigned - Are these cards en rêgle? [sic]' A pencil note by the recipient at the head of the first page reads 'Sent 2 June to Sumner Pl: card returned - answer does not live there.' Refers to 'Sumner Place' and 'the Coming Ball'. He wishes 'the Powers - which they aren't by the by - had let our fat friend Ismail alone just tightening the bit a little'. 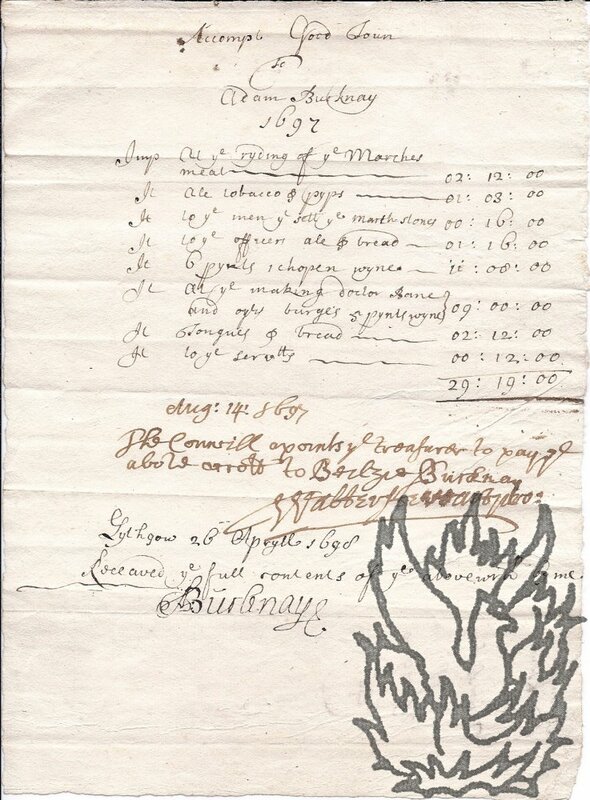 Itemised autograph 'Accompt Good Toun to Adam Burknay 1697' for expenses incurred 'At ye ryding of ye Marches [riding of the marches]' at 'Lythgow [Linlithgow]', with signed authorisation from the council, and Burknay's signed receipt. Burknay's 'Accompt' dated 1697; the Council authorisation dated 14 August 1697; Burknay's receipt dated 'Lythgow 26 Apryll 1698'. 8vo, 1 p. Good, on lightly-aged laid paper, with text clear and complete. 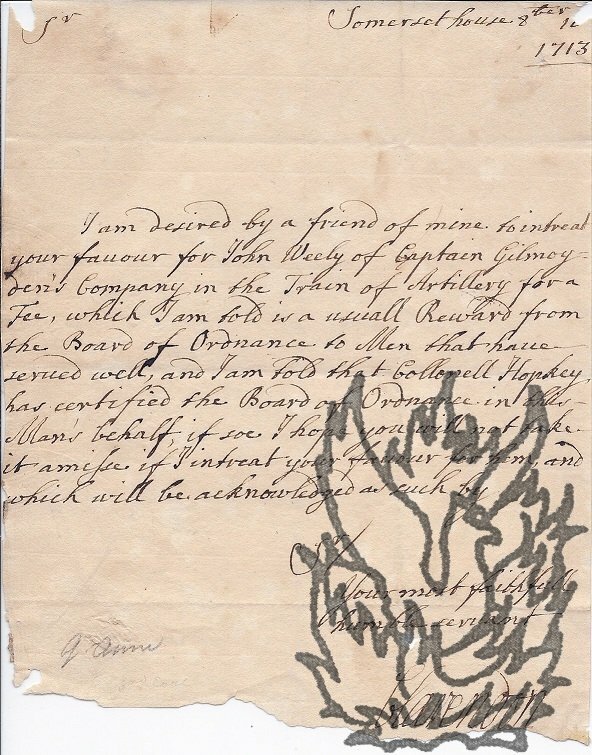 The account, in Burknay's hand, is headed 'Accompt Good Toun | to | Adam Burknay | 1697 | Imp At ye ryding of ye Marches'. Itemised with eight entries totalling £29 19s 0d. Items are 'meal', 'ale tobacco & pyps', 'to ye men yt sett ye march-stone', 'to ye officers ale & bread', '6 pynts 1 chopen wyne', 'at ye making doctor Bane and othr burges 5 pynts wyne', 'Tongues & bread' and 'to ye servtts'. Autograph Note Signed from the historian Frederic G. Mather to R. E. Thompson, regarding his article on 'Buffalo' in the 'Encyclopaedia Americana'. 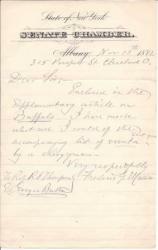 15 November 1882; 315 Prospect St, Cleveland, Ohio, on cancelled letterhead of the Senate Chamber, Albany, State of New York. 8vo, 1 p. Good, on lightly-aged paper. A covering letter for 'the supplementary article on Buffalo' (in the 'Encyclopaedia Americana' supplements to 'Encyclopaedia Britannica', 1883-1885, the first two volumes of which Thompson was editor). Autograph Card from Frederick Maher to J. Charles Davis of Proctor's Theatre, New York, regarding his acquaintance with the author 'Frank Forester' (Henry William Herbert). 19 November 1893; on printed card of the New York and United States Fish Commissions, Cold Spring Harbor, N. Y. 13 x 7.5 card. 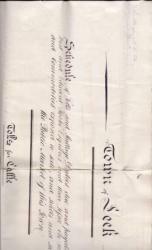 Fair, on aged paper, with minor creasing to one corner. Stamped and addressed on one side to 'Mr. J. Charles Davis | Proctor's Theatre | New York'. 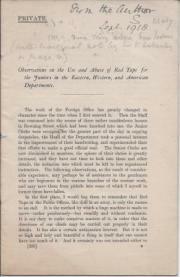 The unsigned card (with the words 'and United States' deleted from the heading) has partly printed text. 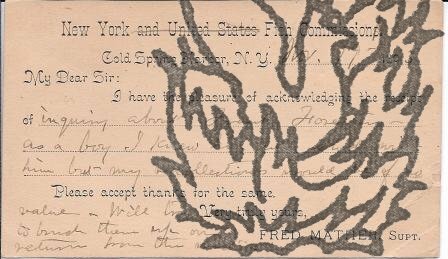 Mather completes it in pencil, acknowledging the 'inquiry about Frank Forester' and stating that 'as a boy I knew him and shot with him but my recollections would be of no value'. He ends by saying that he will 'try to brush them up' on his 'return from the west'. Autograph Letter Signed ('C. 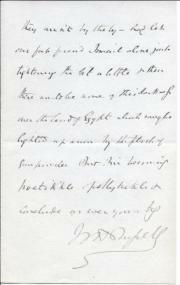 Bellew') from Lady Caroline Bellew of Stockleigh House, with note describing the assault on her in Paris by Lord William Paget and Cassidy. 25 September 1849; Stockleigh House, Regent's Park, London. 12mo, 1p. Text clear and complete. Good, on lightly-aged paper. She is happy that her correspondent is enjoying himself, and looks forward to seeing him the following day, 'to take a friendly dinner'. 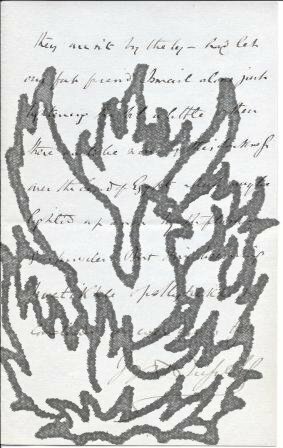 An initialed pencil note in a contemporary hand at the head of the page reads 'The celebrated Lady who prosecuted Lord Wm Paget - Cassidy - others for getting into her Bed room at night in Paris to endeavour to carry her off & marry her for her large fortune to Cassidy | [signed] ' The incident - a great scandal of the age - was alluded to in 1844 in the Annual Register and other papers. 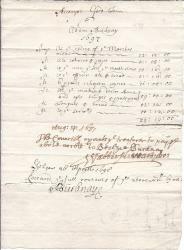 Manuscript notice or draft poster headed 'Town of Leek | Schedule of Tolls and Stallage Duties due and payable to George Nathaniel Best and Edward Rooke Esquires and their Lessee in respect of Goods Cattle and Commodities exposed to sale, [...]'. 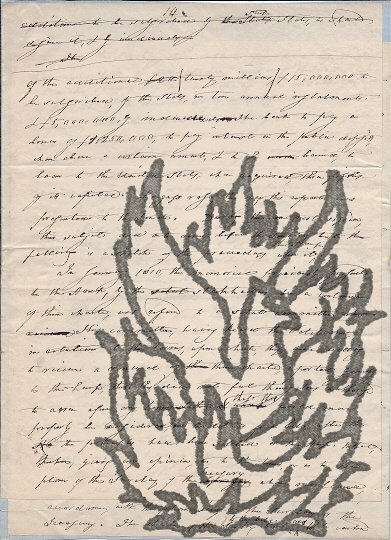 On one side of piece of laid paper, roughly 48 x 59 cm, watermarked 'J A | 1840'. Clear, complete and neatly written. Text in italic and headings in gothic script. 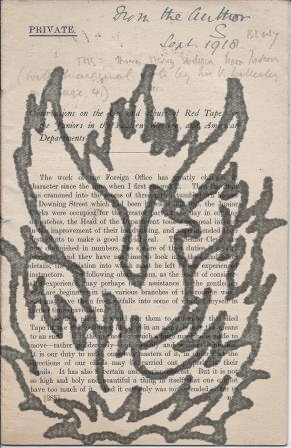 Good, on aged paper, unobtrusively repaired on reverse with archival tape. 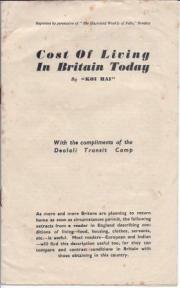 Eighteen numbered tolls and duties are described, with their costs, in the following four subsections: 'Tolls for Cattle', 'Tolls for Goods &c exposed for sale in cases where Stalls are not used', 'Tolls and stallage Duties upon Butchers' and 'Other Tolls and Stallage Duties on Goods exposed to sale upon Stalls | either opened or covered'.